AUSTIN, Texas, Oct. 9, 2018 /PRNewswire/ — Planview, the work and resource management leader, today announced the appointment of Todd Sanders as Chief Financial Officer. 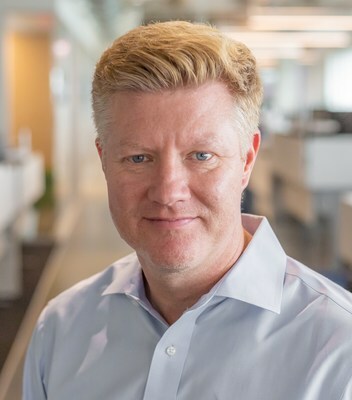 Sanders joins Planview from Symphony RetailAI, a global Artificial Intelligence-enabled decision platforms and solutions provider, where he served as Executive Vice President and Chief Financial Officer since 2013. "I am honored to welcome Todd Sanders as our new CFO," said Planview CEO Greg Gilmore. "Todd has an extensive enterprise track record managing global financial and business operations. This, combined with his expertise in driving appreciable revenue growth and profitability, will have a significant impact on Planview achieving greater operational scale and efficiency. Sanders began his financial career at Fujitsu, followed by positions at StoreNext, Retalix (now NCR), and Aldata. He holds a bachelor’s degree in finance from Louisiana State University in Shreveport and is a licensed CPA in the state of Texas. "I am excited to be part of a company that is transforming how enterprises deliver on their strategies through work and resource management," said Sanders. "Planview is uniquely positioned as the industry leader, with an optimal blend of deep-seated category-leading vision, domain expertise to deliver an outstanding customer experience, and unparalleled financial strength. There has never been a better time to join Planview, and I look forward to creating even more long-term value for our customers and investors." As the global leader in work and resource management, Planview makes it easier for all organizations to achieve their business goals. We provide the industry’s most comprehensive solutions designed for strategic planning, portfolio and resource management, product portfolio management, capability and technology management, Lean and Agile delivery, and collaborative work management. Our solutions span every class of work, resource, and organization to address the varying needs of diverse and distributed teams, departments, and enterprises. Headquartered in Austin, Texas, Planview’s more than 700 employees serve 5,000 customers worldwide through a culture of innovative technology leadership, deep market expertise, and highly engaged communities. For more information, visit www.planview.com. Planview is a registered trademark of Planview, Inc.